Check out our Spring 2019 catalog, featuring more than 500 new books on art & culture. We welcome new publishers Arquine, Atelier Éditions, August Editions, The Design Museum, London, Eakins Press, Edition Patrick Frey, Fulgur Press, Kasmin, Lisson Gallery, Marciano Art Foundation, Marsilio Editori, Onomatopee and Ridinghouse to our list in 2019! Thursday, May 30 from 7–9PM, Howl! Happening will host a book party and signing to celebrate the launch of 'Phyllis Galembo: Mexico Masks Rituals,' published by Radius Books and D.A.P. Publishing. Join us for a festive night of music, projected images and libations to celebrate Galembo's newest body of work! We will miss Carolee Schneemann, fearless performance artist, painter, filmmaker, feminist and innate breaker of taboos. She died this week at the age of 79. In memoriam, we present an excerpt from 'Carolee Schneemann: Uncollected Texts,' published by Primary Information. On October 9, 2018, Reel Art Press released 'Led Zeppelin by Led Zeppelin' across the world in Japanese, Dutch, Italian, German and English editions. Here in the US, we've blown through several print runs, with no end in sight. "We can really say that this is the authentic book of Led Zeppelin by Led Zeppelin," Jimmy Page says in the band's new book trailer, featured here. "I just hope that it really travels through the fans and their imaginations." See for yourself—this trailer is awesome! 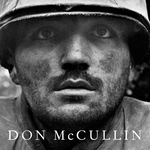 Throughout 2018, in reviews, features and interviews, 'Photo District News' has highlighted a remarkable collection of new photo books. ARTBOOK | D.A.P. is proud to represent the publishers of twelve of PDN's Notable Photo Books of 2018! WATCH the 'Led Zeppelin by Led Zeppelin' book trailer! Releasing October 9, 2018, 'Led Zeppelin by Led Zeppelin' is the first and only official illustrated book ever to be produced in full collaboration with the members of the band. See the official book trailer here and get ready for the art and music publishing event of the year! Find museum exhibition catalogues, art and photography monographs, artist's books and photo books at ARTBOOK.COM, alongside titles on architecture, design, urban studies, visual culture, and experimental writing. We are a division of Distributed Art Publishers, the world's largest distributor of art books and museum exhibition catalogues. D.A.P. is the exclusive trade representative of leading museums and international art and photography book publishers. This year, we're celebrating Earth Day with a book like no other: Sun Seekers: The Cure of California, Lyra Kilston's fascinating and beautifully designed new examination of the Golden State's sunny, healthful and unorthodox mythology as related to modernist architecture, natural medicine and a certain midcentury anti-civilization appreciation for novelties like vegetarianism, eugenics, nudism and heliotherapy. 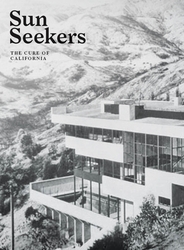 Published by the sophisticated London-based Atelier Editions, this volume investigates "the myth of California as a cure itself," Kilston writes, calling the state "a giant natural sanatorium." Top spread features Pauline Schindler (wife of architect Rudolph Schindler) and Leah Lovell (progressive teacher and wife of natural health guru "Dr." Philip M. Lovell, ND, as in self-coined Doctor of Neuropathy, born Morris Saperstein) with their young students (including two sons of the photographer Edward Weston) in Leah's "School in the Garden" in the Lovell's Hollywood Health House, designed by Richard Neutra, circa 1925. Middle spread is from the chapter on the Lovell's Newport Beach House, completed in 1926. Bottom spread features a woman exercising on the terrace of German architect Richard Döcker's house in the Werkbundsiedlung, Stuttgart, circa 1926—an inspiration for the ex-pat California Modernists. For the complete list of new monographs, museum exhibition catalogues, artists' books, visual arts journals, and trade titles shipping this week, go to What's New? Text by Estrella de Diego, Gary Van Zante, Cara Hoffman. Edited by Damon Murray, Stephen Sorrell. Photography by Roberto Conte, Stefano Perego. Introduction by Simon Baker. Text by Tomo Kosuga. 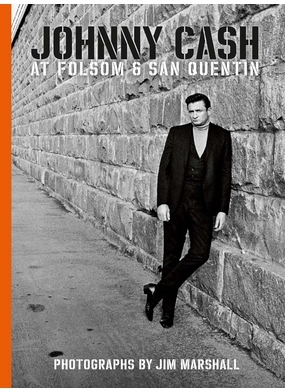 Edited by Ronald Bronstein, Sammy Harkham. Photographs by Mark Klett, Byron Wolfe. Text by Rebecca Solnit. Foreword by R. Buckminster Fuller. Text by Isamu Noguchi. Edited with text by Kosme de Barañano. R|A|P stands for exceptional taste and a unique curatorial eye. It stands for luxury and class, the highest production values, and a sensitivity to an eclectic selection of subject matter and material. It stands for rare, unpublished and unusual work including subjects with mass appeal and limited editions with unlimited potential. R|A|P was founded by Tony Nourmand in 2010. It has remained true to its founding principles, which are to attract A-list projects and to bring to their publication uncompromisingly high standards at every stage of production. Its remarkable development has been achieved with a small in-house team, who share a commitment to quality and creativity, passion and professionalism. The Graham Foundation Bookshop is committed to the dissemination of the architecture book as a vital space for experimentation and incubation of ideas that shape architecture culture. 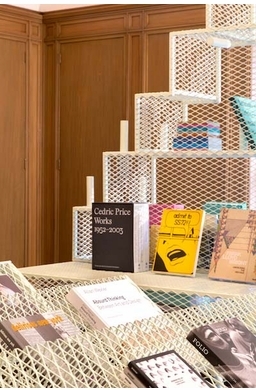 The only architecture bookstore in Chicago, The Graham Foundation Bookshop is committed to accessibility, experimentation, and supporting new directions in the field of publishing. It opened in 2013 when the Graham commissioned Chicago-based designer Ania Jaworska to design a bookshop for the historic mansion where the Foundation is located. Since then, the Graham Foundation Bookshop’s selection of grant-funded titles, publications related to its public programs, and new printed matter reflect the state of the field and encourage its development. Since its founding in 1956, the Chicago based Graham Foundation for Advanced Studies in the Fine Arts has been dedicated to the development and exchange of diverse and challenging ideas about architecture and its role in the arts, culture, and society. For over sixty years, the Foundation has supported the publication of such seminal architecture books as "Complexity and Contradiction" by Robert Venturi, released in 1966, Rem Koolhaas’ "Delirious New York," published in 1978, and "Cedric Price Works 1952–2003," written and edited by Samantha Hardingham, published in 2017. In the last decade alone, the Graham Foundation has supported the production of more than 450 publications about art, design, and architecture from around the world.